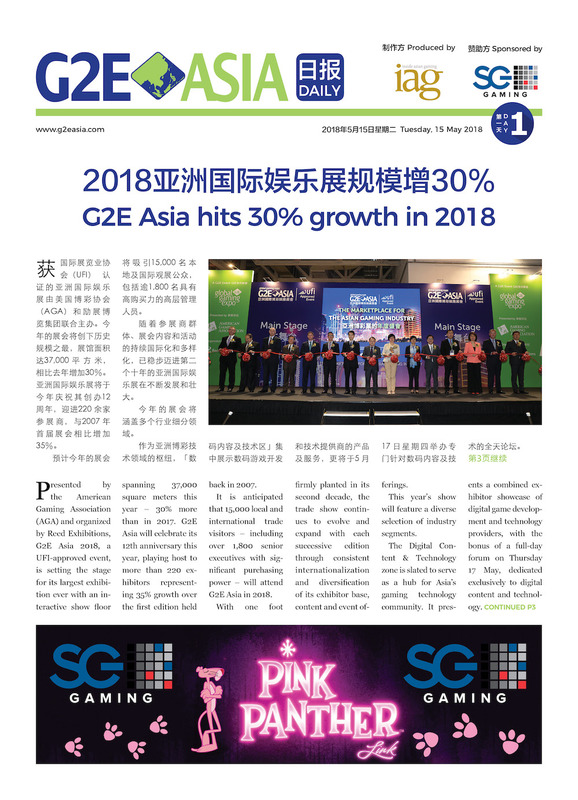 IAG produces G2E Asia Daily – the official daily newspaper of G2E Asia. G2E Asia Daily is a joint venture between G2E Asia organizers Reed Exhibitions and Inside Asian Gaming. 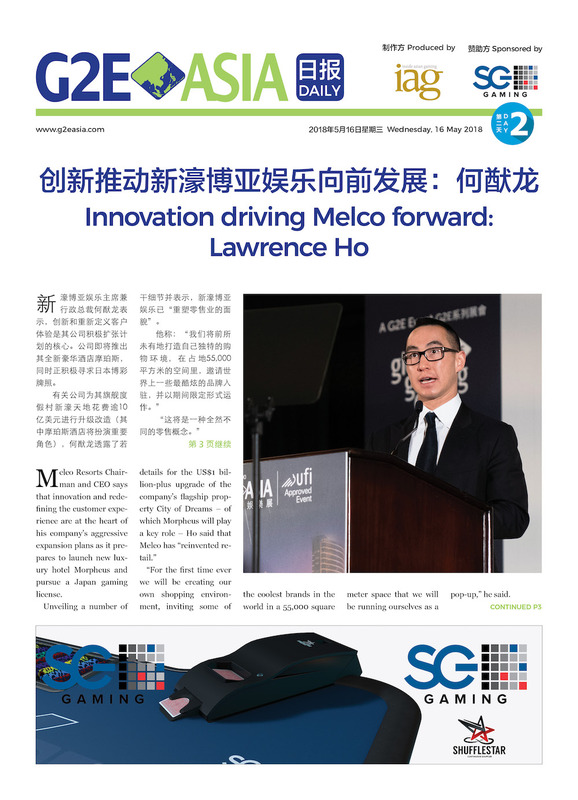 The G2E Asia Daily newspaper is printed and distributed on the morning of each of the three show days each May. It provides the latest news from the conference and exhibition floor, showcases exhibitor products and provides information on everything from G2E Asia press conferences and media launches to various networking events. Bilingual in English and simplified Chinese, the newspaper is displayed and distributed at the show entrance, personally delivered to each booth each morning and is available at a number of locations around the show exhibition hall at The Venetian Macao. With attendance surpassing 15,000 visitors – and with copies personally handed out to visitors as they arrive – G2E Asia Daily not only provides the most comprehensive up-to-date coverage of G2E Asia but also presents a unique opportunity for exhibitors to get their message directly into the hands of show visitors. For more information, visit G2EAsiaDaily.com.